Yahoo is planning another wave of service closures designed to free the company of underutilized services and mobile applications. Multiple apps and services will be retired by the end of this month according to a recent post on the company’s official blog by Yahoo executive president of platforms Jay Rossiter. In the post, Rossiter said Yahoo wants to deliver experiences that inspire and entertain. Much like the familiar announcement last month, that means taking a hard look at all of their products and making sure they are still central to users’ daily habits. Unfortunately, six services didn’t meet those requirements this time around. 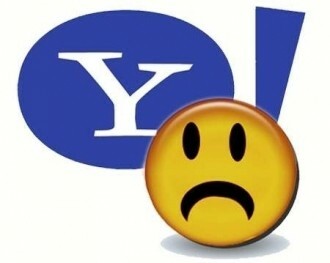 As of April 30, 2013, the following Yahoo services and apps will be going away: Upcoming, Yahoo Deals, Yahoo SMS Alerts, Yahoo Kids and Yahoo Mail and Messenger for feature phones. What’s more, older versions of Yahoo Mail (including Yahoo Mail Classic) will no longer be available beginning the week of June 3. People still using these older versions are encouraged to switch to the new Yahoo Mail which is described as being faster and easier to use. Users that are still on dial-up or an older browser can elect to receive an HTML only / basic version of the new Yahoo Mail. The company said they will be reaching out to each person via e-mail to provide more information about the change and what to expect. If you’d rather get a jump on things, Yahoo invites legacy mail users to click here for more information on the mail migration.